Portable installations are available with free-standing lightweight reels, offering easy let-down and take-up. ENVIRORENT has released the AquiStar PT2X smart sensor, a combination pressure/temperature sensor and a datalogger in one small, submersible unit. It measures pressure, temperature and time and is a low-power device with a long battery life. It allows easy field calibration via software and provides real-time monitoring and an accuracy of 0.1%. Portable installations are available with free-standing lightweight reels, offering easy let-down and take-up. The sensor is rugged enough for field use and can be set up for wireless applications for remote locations. 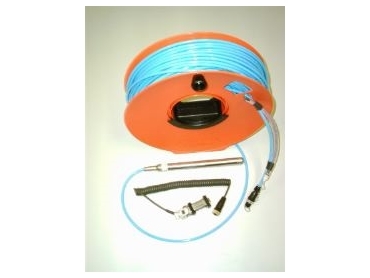 The AquiStar is used for such applications as groundwater and leachate monitoring, pump testing, tide monitoring, river flow and level observations, tank level control, reservoir level monitoring and thermal profiling. The software is a multi-layered control program. The program can access sensors on several comm ports. Each comm port can connect to several sensors. Each sensor can have several test sessions. Each session can have several test phases.